Warner Bros. Believes In Wii U, Thinks E3 Games Will "Re-energize The Platform"
"I think they're going to fix the problem"
Nintendo may have some killer titles of its own coming to Wii U this year and beyond, but third-party support for the console has been uncertain almost from day one. Electronic Arts has backed away from the platform, and staunch supporter Ubisoft appears to be getting cold feet. We're a believer on the Wii U. Honestly, we hope everybody's going to work out. It's just good for the industry. I think the console has been off to a slow start, but I think they're going to fix the problem. I don't think it's a problem, but it's more about the content. And I think they showed tons of new content [at E3] that will re-energize the platform. 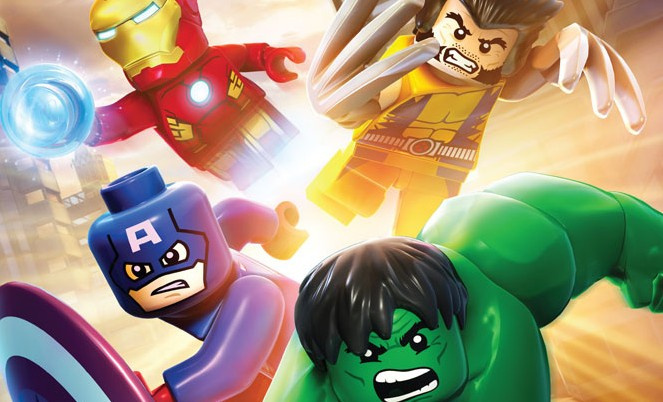 Warner Bros. has contributed titles like Scribblenauts Unlimited, Batman: Arkham City and Injustice: Gods Among Us to the Wii U line-up so far, and will be bringing Lego Marvel Super Heroes to the console in the near future. Hopefully we'll see more words of support coming from third-parties — along with new software — as the vital Christmas period approaches. Don't forget Lego City! One of the best games in a while period, let alone on the Wii U. Nice to hear some good remarks about the Wii U. I'm not worried. Lots of great games coming out by the end of the year. 5 or 6 first party titles. Unless you are super rich, 10 to 1 says you can't afford all of them, but you can't say there is no reason to own a Wii U anymore. @MrGawain Lego City was not published by Warner Bros., it was published by Nintendo this time. Let's hope Batman sells well, if not, their support might not be that much supportive in the the future. I would have thought Disney wouldn't want Warner involved in Lego Marvel. So glad that there are lots of optimists for the Wii U. I too feel that Wii U can get back on its feet and compete with Sony and Microsoft. Totally buying Batman Arkham Origins, Scribblenauts Unmasked, and LEGO Marvel Superheroes! @Volmun I couldn't agree more. Having purchased both Lego City and Lego Batman 2 for Wii U, Lego Marvel for Wii U is on my "must purchase for 2013" list. @XCWarrior Thats assuming people even want all of those games. When you're limited to five or six games a year, that's not exactly spectacular. Other consoles generally receive 5 or 6 high quality third party games in October/November alone. Never mind having games like Bioshock Infinite and The Last of Us earlier in the year, or any of their respective exclusives. You can be happy that the amount of games you want comply with your budget, but don't be mistaken to think the Wii U's library is looking all that great right now. Third party support is really questionable as acknowledged by this article, even more so than in the past. Even if I also have a PS3, I haven't bought either Injustice or Arkham City, and both interest me, so I think I will be getting the Wii U versions. Its good more publishers are being vocal in thier faith in WiiU and Nintendo. I just hope that these publishers support is rewarded by WiiU owners by buying thier games. Watchdogs, AC Blackflag, Batman Origins to name only 3 of a number of 3rd party titles look to be titles that warrant a High attach rate on WiiU. If this turns out to be the case, Ubisoft and WB will be even stronger WiiU supporters through out 2014. Same applies to other 3rd party publisher games on WiiU. Fact is its a two way street, its no good moaning that Nintendo should get 3rd party developers on board when the ones that are are seeing minimal return on thier games released on WiiU. Nintendo need its userbase to back them up in thier plans to bring 3rd party devs to WiiU and 3rd party devs need to shown WiiU owners will indeed buy thier games. I have and will maintain buying any good 3rd party games before a 1st party release simply as Nintendo are not going to stop making WiiU games regardless of sales like 3rd party publishers Will, besides Nintendo don't look at immediate sales figures, they look at the long-term attach rate for thier games as often reflected by thier comments and press releases. It is great the Warner Bros. intends stick it out with the Wii U as well, unlike Ubisoft which is now considering backing off unless sales rise. Warner Bros. is also making good ports evidenced by the fact that Arkham City was one of the better ports on the Wii U and utilized the Gamepad quite effectively. Scribblenauts Unlimited is exclusive to Nintendo in consoles and looks to stay that way due to their belief in Nintendo. Also because Smartglass will be unable to play games while Vita cannot be made compulsory for a game on PS4. Other publishers, including Ubisoft now that they have changed their attitude, should look at the Wii U in that light. This is also considering the fact that if Wii U goes down, the industry will surely suffer. The Wii U will recover and will sell a lot more the coming holidays as well as in Spring 2014. @AlexSays - 5 to 6 exclusives in one month? really? Please elaborate. And how is it differnet then. The Wii U is getting 3 exclusives soon (Wario, Luigi, Pikmin), 8 exclusives soon after (Party, Fit, Mario3D, WW, Lost World, Olympics, DKC, Wonderful 101), and more exclusives in 2014 (Bayonetta, X, Smash Bros., Kart). You are saying other consoles have more exclusives lined up for 2013? Yeah but we still have the lack of DLC problem for most of those games. @dumedum we know next to nothing about the exclusives for the new consoles. (Though Sony did say they had 20+ in development..) We're talking about other consoles getting several high quality third party games in a couple months, opposed to the Wii U only getting a few exclusives over several months. We're talking about flat out total games. When third party devs release their heavy hitters for the holidays, where do they all go? Ok, now where do almost none of them go? The Wii U's library is almost entirely dependent on Nintendo right now, whether people like to believe it or not. Well at least the number of 3rd party believers are growing. I have a question, If 1st party games are created by Nintendo, and 3rd party games are created by others, what are 2nd party games/developers? Second party devs are either partially owned or not owned at all by the publisher it develops games for. So this includes developers that have exclusivity contracts signed with a publisher. The games are first party, but the devs are referred to as second party so that they are distinguished from a publisher's own devs. Someone is positive about the Wii U? @AlexSays - fine, but you said initially 5-6 exclusives in October/November. It is agreed that third party outlook of the Wii U is very low. There are some Ubisoft titles (and Warner Bros..) coming up and that's it. Open debate over whether it matters, whether it will change, whether one should care etc. In the grand scheme of things, it totally matters though from a business perspective. There's no doubt Nintendo would be happy if games like MGSV, GTAV, Battlefield 4, etc. were being developed for their system. Any contribution adds variety and extends the library, which can't ever really be a bad thing. Had Warner Bros bothered to release Scribblenauts (after pulling it on launch day) there might just have been quite a few more WiiU owners in Europe already!! Both Batman: Arkham City Armored Edition & Injustice: Gods Among Us are both on my play list just not got around to getting them. @AlexSays MGSV would be great, the other two you mention are garbage games. I love WB games, so far they have brought fantastic games to the Wii U. Almost all the third party games I want, are from them Keep it up, can't wait for Arkham Origins! Well whether you like them or not is irrelevant. I personally don't like MGS games either.. They'll each sell millions though and bring people to their systems, which is relevant. Having these heavy hitters has a huge impact on a system's library. E3 games won't re-energize the platform unless Nintendo re-energizes the platform. I think Nintendo needs to treat this summer as a launch, in part to compete better w/ the other 2 new consoles. More advertising, more demos, better kiosks - 3DS Luigi's Mansion is one of the best I've ever seen, the whole thing glows when you play the game - the WiiU kiosk is just a non-descript blue and white or something. Wario, Pikmin, W101 - all bright and colorful games, get that kiosk a'rockin'. And swap out NintendoLand for NSMBU, make people want to buy the WiiU. Make people want to buy Luigi levels. Just having the games won't do it. And besides, a few of the good games are 2014, that isn't going to help NOW. Lots of people will buy W101 and Wario if they own a WiiU, I just don't think a lot of people will buy a WiiU to buy them. Nintendo still needs to think - sell the WiiU first, then the games will sell. It's too late, and the right games don't come out until too late, for the other way around. @Lasermaster123 I agree with spring 2014 or holiday season 2014 I honestly think they are gonna let PS4 and XBO do their thing this year and then remind the world that there is only one place to play smash bros and mk. That's what Ubisoft said at the beginning too, hopefully WB stands behind what they say. All nintendo need to do is make a few smart moves here and there and BOOM, Job done. You watch the turnaround happen before your very eyes. @deitypower 2nd Party publishers are the guys that only create games for a specific company[Ex. Nintendo, Sony, & Microsoft]. You ever heard of Shinen? That is a 2nd party developer. They made games like Fun Fun! Mini Golf, Art of Balance, and Nano Assault. The video game industry does not begin & end with Ubisoft & EA. Why do we care that these TWO companies are crying over WII U? Who.Cares. No Madden or FIFA on Wii U? Boo Hoo. Oh no! They're SUCH innovative games, what will Nintendo owners do? No over-ambitious-but ultimately-lacking-in-some-area-or-other games from Ubisoft? OMG!! Yeah, Big. Deal. Nintendo will survive without these too-big-for-their-own-good crybaby companies. Geez! Gaming media, gamers, get over it! It's TWO companies! Shinen isn't a 2nd party developer. That would imply that they develop and Nintendo publishes. When that is not the case. Shinen can publish games on any system they want, they choose to release on the Wii U/3DS. I think they're making a smart bet. Thing is, the Wii U launched without any first party software to really grab early adopters and most the 3rd party IP was ports. This will soon change big time when Nintendo drops the hammer and quite frankly, it's smart for 3rd parties to be there to capitalize on this. I know why do people still get all crazy for GTA games ? I thought sleeping dogs was better than GTA4, I thought scarface was better than san adreas, even the new driver had fresh ideas. And we have sleeping dogs around the corner which to me looks a million times better, but I guess it will sell a lot less than gta5, and we probably wont see a sequel. @Square-Head I'd personally prefer a new Red Dead game, as Redemption is one of my favorite games ever. Never tried Revolver, heard it's - not bad, but very... strange. Probably because it's half Rockstar, half Capcom. Also, Saints Row is way more fun than GTA in my opinion, and fun is the most inportant aspect of games. @AlexSays I agree with you, but that's why I have a Wii U and a gaming PC. And despite the lack of Wii U releases.... I have a backlog to be ashamed of, and I have 75% of my games beaten! And people constantly forget that Wii games play on your Wii U. Pandora's Tower came out in April, shame on all the Nintendo oriented websites for barely giving it any hype. Just 1 more game, but still. And there are some third party games coming (Sonic, COD, Watch Dogs, Batman). Plus eshop titles... there's enough. And the 3DS eats up a lot of my time as well, and that has tons coming out.